In the 1970s and 1980s the St. Johns River, home to this week’s Bassmaster Elite Series event, was an absolute bass fishing mecca, and the town of Palatka, Florida was very much its epicenter. It was a place where big bass lived, and anglers traveled from all over America to fish for them. 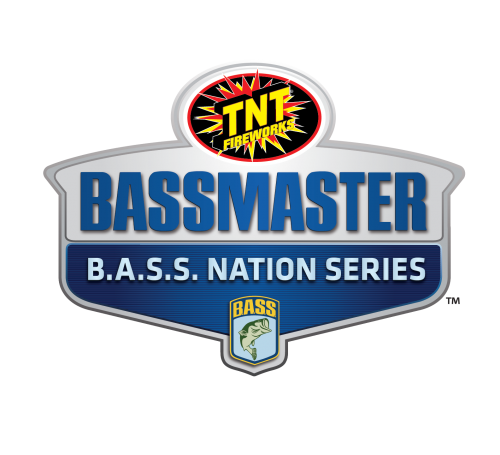 A place where Bassmaster Classic winning lures like Bobby Ditto’s GatorTail worm originated, and aspiring young teenage anglers like Cliff Prince and Terry “Big Show” Scroggins grew up to be pros. Today, Palatka is still rich with pride. Fishing pride, hometown pride, and Made in America pride. If you have any doubt, grab a cup of coffee, and stop by Futch’s Marine and Power Depot. They’re the official sponsor of Elite Series pro, Cliff Prince, and they’re darn proud of it. “Cliff is a hometown boy like us, he grew up on this river like us, and when I heard him tell his story of becoming a full time Bassmaster pro at our local Kiwanis Club meeting, I knew we wanted to be a part of his career,” says Futch’s owner Shawn Sadler. 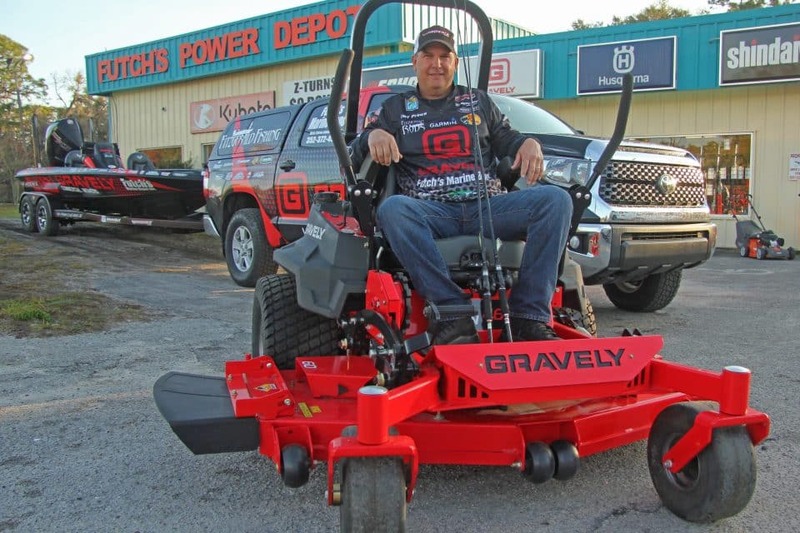 Futch’s very quickly became part of Gravely Mowers’ Million Dollar Club for their incredible success selling the top-quality mowers that have been made in Wisconsin since 1916, and to further their success, they have invested in the Gravely brand as Cliff Prince’s title sponsor for 2019. “I mean heck, at the end of the day, what small business wouldn’t be proud to have their name on an Elite Series angler’s boat and Tundra?” says Sadler. “I feel like family here at Futch’s,” says Prince. “They’ve been my title sponsor for four years. 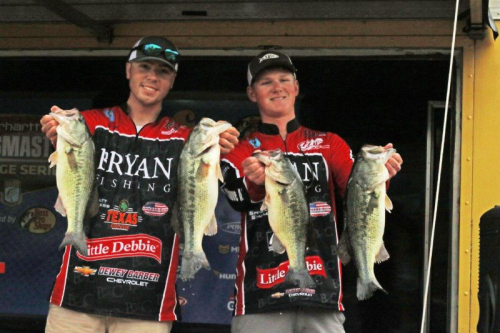 I love the way they get engaged with the tournament when the Elite Series is here in Palatka. And heck, I’ve even been known to stop by here and borrow some ice out of their big ice machine when I’m headed out saltwater fishing,” smiles Prince. Speaking of fishing, Prince thinks the gorgeous weather will bring on a batch of early spawners. 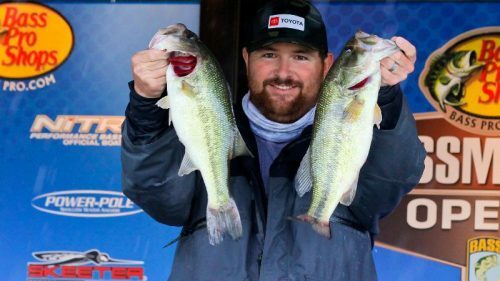 “I think as many as 50-percent of the bass weighed-in the first two days will be caught from spawning beds, but when that cold front blows in Saturday it will put a serious end to a lot of that,” says the former Palatka Panther from the Class of ’89. He’s also forecasting that 13-pounds per day will get an angler to Sunday’s final round, and he says because a large number of fish will likely push shallow to spawn, it will level the playing field, as the local deep water honey holes located on shell beds and such will be less of a factor. 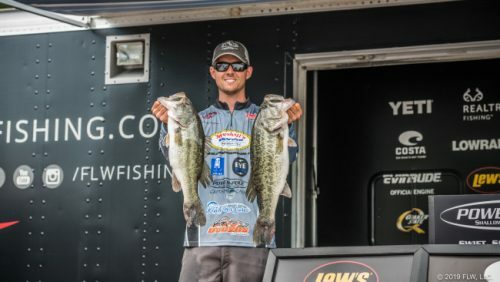 A variety of lures will be used this week, but Prince won’t leave home without a Booyah One Knocker lipless bait, or a Bass Assassin Fat Job soft plastic stick bait – two lures bass are known for eating regularly on the St. Johns. But as far as what the hometown folks love to eat around here, Prince says to try the fried shrimp at Bradley’s Steak and Seafood, or steaks and gator tail at Corky Bell’s. 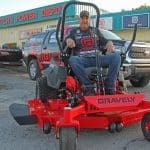 Oh, and if you need a bag of ice or a new mower, stop by Futch’s and tell them Cliff Prince sent ya. You’re sure to be greeted with a grin and a whole lot of hometown pride.